Origin of name  Named for nearby Gippy Swamp (3, p. 95). Pronunciation  The 'G' is soft and pronounced as a 'J' as in Jippy (7). Both Gippy and Jippy are Bantu (African) words for "short." For example, Tshitupa tshipi means "in a short time, in a jiffy" (1). The swamp in the area was called Gippy and John White named his plantation after the swamp (3, p. 95). Current status  Originally part of Fairland Barony, most of the property has been subdivided into residential and commercial properties. The house remains and sits on a 4.81-arce lot. 1821  On March 17, the 1,875-acre No. 3 Colleton Barony was conveyed to John White by Samuel Colleton Graves (3, p. 33) (5).
?  House built by White (3, p. 95). 1852  The house was lost in a fire (3, p. 95).
?  A new house built with the help of neighboring planters (3, p. 95). 1859  John S. White put the plantation up as collateral for a mortgage with William James Ball. White would pay installments until 1864. If he failed to pay, Gippy Plantation would become Ball's (mortgage document, page 1 | 2) (5). 1861  John S. White died and it seems the plantation was left to his son, John St. Clair White (3, p. 95). 1895  Samuel Porcher Stoney, Sr. purchased the plantation from the White family. The two families were related (3, p. 95). 1927  Nicholas G. Roosevelt acquired the plantation. He introduced a herd of Guernsey cattle whose "Gippy" milk was still available as of 1987. The Roosevelts restored and enlarged the house (3, p. 95-96). 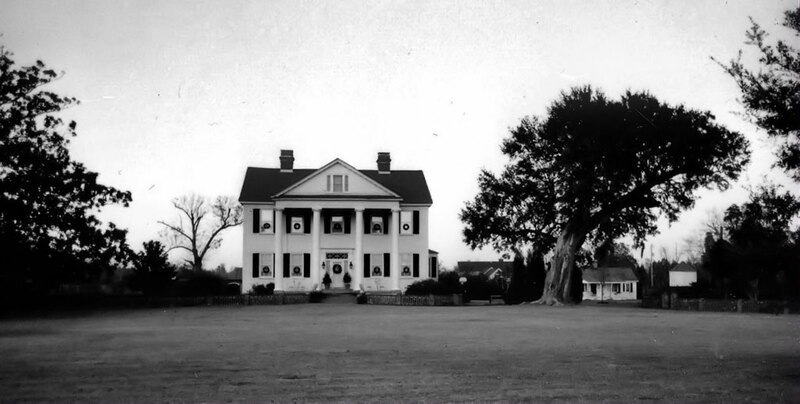 1972  The estate of Nicholas G. Roosevelt sold Gippy Plantation to Percy Hauglie, Jim Daniel, and Manuel Cohen. The plantation's property was divided into business use and residential housing developments (3, p. 96). 1982  Gippy was selected for the filming of several scenes for the movie Lords of Discipline (3, p. 96). 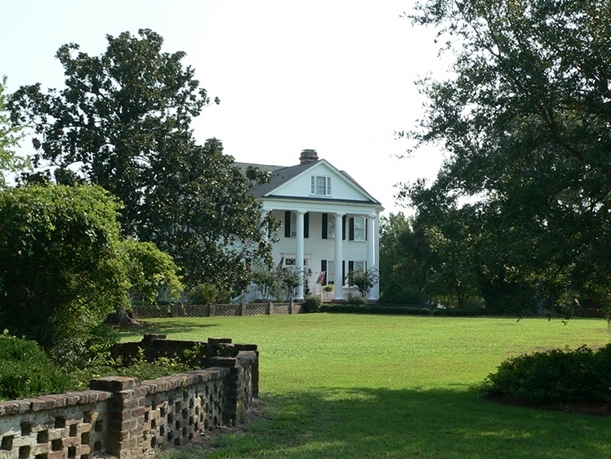 2016  The Gippy Plantation house, which sits on a 4.81-arce lot, was for sale with an asking price of $1.2 million. Nancy Wigfall was a slave woman from the Midwest. She was a full-blooded Cherokee Indian and was emancipated in 1865 (4). Information contributed by Barry A Walker, Sr.
Information contributed by John Strobel. Information contributed by Brandon Coffey.